Dr. Gorin is a Clinical and Neurosychologist with a private practice in Washington, D.C. and Maryland. He has over 25 years of clinical experience. Dr. Gorin provides a variety of evaluation and psychotherapy services for children, adolescents, and adults. This includes neuropsychological assessments for students with learning issues, ADHD or personality and behavioral problems. Dr. Gorin also provides similar services for adults who are dealing with learning issues, dementia and brain injuries. In psychotherapy, he works with adults, adolescents and couples who are seeking individual psychotherapy to address problems such as depression, anxiety, issues of direction in life, self-esteem issues, divorce, parenting, ADHD, relationship problems, difficulties in work, adoption issues, or recovery from a difficult childhood. Dr. Gorin also offers a variety of forensic evaluations, with a specialty in immigration-related issues. Dr. Gorin has an interactive approach to therapy and sees it as a partnership in which clients can get to the bottom of their difficulties and begin to practice new ways of dealing with problems as well as new ways of being. There are no guarantees in counseling--however, in my experience patients do get better and almost always achieve the goals they set forth at the beginning of therapy. Dr. Gorin received his Doctor of Psychology (Psy.D.) from the Massachusetts School of Professional Psychology in 1984. 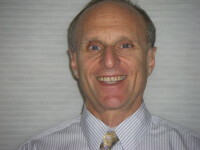 In addition to my work with clients, Dr. Gorin has trained and supervised hundreds of doctoral students and professionals and is on the teaching faculty at the Professional Psychology program at George Washington University where he teaches neuropsychological assessment. Dr. Gorin has been on the adjunct faculty of the University of Massachusetts, Boston University, Massachusetts School of Professional Psychology, Yale University and Howard University. If you are interested in psychotherapy please call Dr. Gorin's office to set up a consultation appointment. His office is in Northwest Washington, DC and is less than a one-minute walk from the Woodley-Zoo Metro stop. Dr. Gorin offers all services in both English and Spanish.